Last night my wife and I attended a fundraising event called “Starry Nights & Campfire Lights,” which benefits Camp Allen, the camp and conference center for the Episcopal Diocese of Texas. 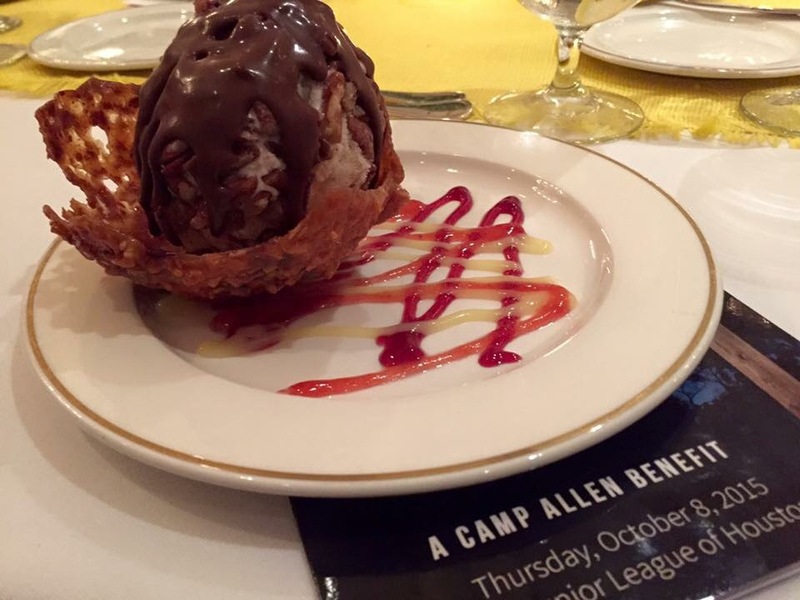 It was held at the Junior League of Houston, and the meal featured the Junior League’s signature dessert, “Pecan Ball in an Almond Lace Basket.” There’s ice cream underneath everything else that you can see in this photograph. Yes, it was delicious. it’s more than just a dessert. Who knew bread could taste so good? Foster: the way we like our fruit.